Col. Cynthia Tinkham of Oklahoma City is the new commander of the 189th Regiment — marking the first time a woman has received a major command in the Oklahoma Army National Guard. 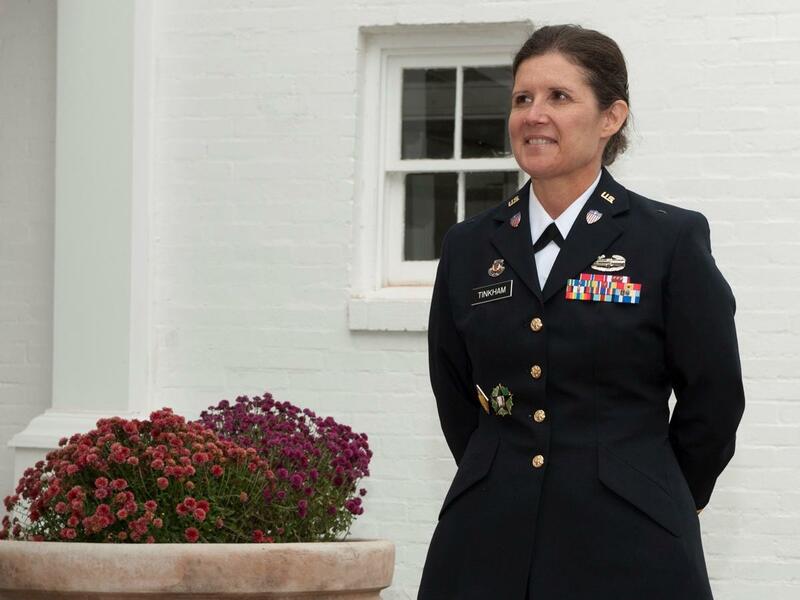 Lt. Col. Cynthia Tinkham, senior personnel officer for the Oklahoma National Guard, was promoted to the rank of Colonel on November 3, 2013. Tinkham is a native of Blanchard, Okla., and has served with the Oklahoma Army National Guard for more than 24 years. The 189th Regiment is known as the Oklahoma Regional Training Institute. Tinkham deployed to Afghanistan in 2009 in support of Operation Enduring Freedom, serving as the executive officer of the 45th Agribusiness Development Team. In her first address to her new soldiers, she expressed gratitude to the National Guard leadership for having the confidence to provide her with the opportunity to lead an organization with such an important mission. Tinkham enlisted in the Oklahoma Army National Guard in 1989 and was commissioned as a second lieutenant in 1991.